The Virginia Tech tragedy stands out as the incident most responsible for the dramatic shift of the higher education community’s safety and security mentality. But have U.S. campuses really applied what they’ve learned? According to the Campus Safety Post Virginia Tech Study, in many ways, yes. For most U.S. educational institutions, the year since the Virginia Tech shootings has involved a lot of healing and soul searching. The brutality and scale of the April 2007 massacre shook the higher education community to its core. 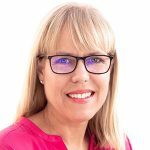 But more than anything, the hard, cold realities of campus vulnerabilities have made many education stakeholders review, implement and upgrade a wide variety of solutions related to safety and security. Mental health, information sharing, mass notification, active shooter training, arming campus law enforcement, access control and other related issues are no longer flying under the radar of campus administrators… Or at least they shouldn’t be. So have U.S. campuses truly learned the lessons of the Virginia Tech tragedy or just maintained the status quo? 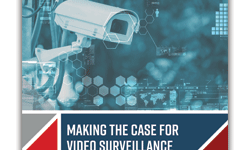 To find out, Campus Safety (CS) conducted the CS Post Virginia Tech Study. Eleven charts, along with additional comments on the pending legislation, technology and policies that directly affect campus safety and security, show just how this tragedy has impacted the approaches campuses use to prevent, detect and respond to such emergencies. Historically, the perceived lack of respect for and attention to safety and security issues by many campus constituents has been a major concern of those in campus law enforcement. Although respect and attention are intangible qualities, the absence of either can mean the difference between a campus that is optimally prepared for a critical incident and one that is unnecessarily vulnerable. The Virginia Tech tragedy, however, served as a wake-up call for most U.S. campuses. Nearly two-thirds of the CS Post Virginia Tech Study respondents (64 percent) say there is now greater attention and respect paid to campus safety and security. More than one in four respondents (26 percent) say it depends on the stakeholder, while only 10 percent say they perceive no increase in respect for and attention to campus protection issues. Understandably, those who have the highest levels of respect for security and safety matters are campus police and security — it is, after all, their job to deal with these subjects on a daily basis. Noncampus first responders, IT, parents, administration, facilities, staff, patients and students (in that order) pay somewhat less attention to these concerns, but on average still rate them as 3.46 (on a scale from 1 to 5 with 5 being the highest level of dedication). Even other department heads and faculty — the two factions normally perceived to be the least interested in safety and security — now rate protection concerns as moderately important (3.09). This increased awareness is most likely the reason why so many survey respondents say that in the past year their campuses have revised or are in the process of revising their emergency plans (66 percent and 22 percent, respectively). Many of the reports that examined the Virginia Tech tragedy and campus emergency preparedness expressed concerns and made recommendations regarding the state of mental health services on college campuses. Virginia Tech’s own internal reviews recommended an increase in the number of case workers capable of identifying and handling students with mental health issues, and a threat assessment team be created to evaluate complex at-risk student cases. A number of these recommendations have been implemented by Virginia Tech, including adding case managers, counselors and psychiatrists. At other campuses, the quality and availability of mental health services for students, staff and faculty have also been enhanced since April 2007. Six percent of survey respondents say the quality of services has significantly improved, while 54 percent say it has somewhat improved. Forty percent say there has been no improvement. The availability of mental health services has also increased on many campuses. Half of the survey respondents say the availability has somewhat improved, and 7 percent say it has significantly improved, leaving 43 percent that have made no improvements at all. It should be noted, however, that the survey did not ask if respondents believe their campus’ quality and availability of health services was sufficient prior to the Virginia Tech tragedy. Therefore, some of the campuses that indicated “no improvement” may have already had adequate services in place prior to April 2007. Another concern raised by the panels reviewing the Virginia Tech tragedy was the lack of sharing of information about the gunman, Seung-hui Cho, prior to the shootings. According to the CS Post Virginia Tech Study, during the past year, most campuses have improved how they share information among campus constituents. Nearly one out of five (19 percent) respondents say it has significantly improved, and 57 percent say it has somewhat improved. Healy says that many state attorneys general, state DOEs and others in the legal field are also providing clarifications of FERPA to educational institutions. Still, he believes there is much room for improvement in the law. Each LAUSD campus also has a threat assessment team consisting of an administrator, law enforcement officer and district representative. In response to the Virginia Tech tragedy, the House of Representatives has also passed the College Opportunity and Affordability Act (H.R. 4137), which requires the secretary of education to clarify FERPA so that campuses know when they can share with parents the information and grades of their college-age children. Virginia is also considering several proposals that would require state colleges and universities to notify parents when their adult children are deemed a danger to themselves or others. Some believe, however, that these proposals, particularly if they are not narrowly limited, might discourage students from seeking mental health treatment, placing greater burdens on campuses. Where there seems to be more confusion, however, is in the divulging of information on arrests that haven’t been supported by convictions. “There has been some frustration, particularly on the student services side, where they want to know more about [at-risk individuals] from a criminal records standpoint,” says Phil Mullendore, executive director for the California College and University Police Chiefs Association (CCUPCA). “They are attempting to obtain criminal records that are available to law enforcement but not to anyone else. Drayton says it is important to know both the spirit and intent of the law. “Sometimes you have to go and read the legislative discussion and intent — the stuff that went around the words.” He also recommends using common sense and developing relationships with trustworthy individuals long before an issue ever develops. On the technology front, the issue that received and is still receiving significant public attention is the timeliness and way Virginia Tech notified its campus community after the initial dorm shootings. 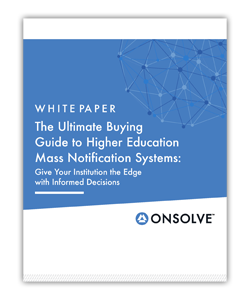 As the fact that 73 percent of survey respondents have recently bought or will soon purchase mass notification solutions demonstrates, campuses have taken the review panel’s recommendations to heart. 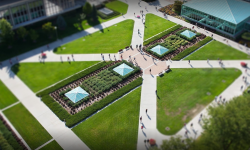 Although most campus officials acknowledge they need multiple modes of notification, text messaging systems seem to be receiving the greatest share of attention. Virginia Tech has already implemented such a system, and Brigham Young University (BYU) is in the process of doing so, as are many other colleges and universities. Even for those colleges and universities that have not invested in any mass alerting technologies yet, they may be forced to do so if some pending federal legislation passes the Senate. On Feb. 7, the House of Representatives passed its version of the College Opportunity and Affordability Act of 2007, which requires higher education institutions issue public warnings within 30 minutes of an emergency or threat, as well as notify the public with more campus safety information. The 30-minute requirement, which is supported by family members of Virginia Tech victims as well as the campus safety advocacy group Security On Campus, is facing strong opposition from most campuses, as well as members of the campus law enforcement community. Many campus safety officials believe this portion of the bill would hamper public safety officers from exercising their best judgment during emergencies. On the state level, Virginia is considering HB 499, which would require those who are ordered to receive treatment for mental health issues to obtain it. The bill would also reduce the threshold for involuntary commitment if a person is deemed a danger to himself or others. Opponents of the proposed law, however, are concerned that it could lead to the violation of civil liberties. Several other bills being considered by Virginia would establish teams at schools to evaluate and report threatening behavior. The teams would include representatives from student bodies, faculty, law enforcement, HR and mental health professionals. The concept of locking down a building or a campus when a critical incident occurs — or even just updating the locking mechanisms on buildings so doors can’t be chained closed — are being reviewed by many campuses. “We have to get away from these custodians having to walk around and unlock or lock the doors,” says Wolfgang Halbig, director of risk management for the Lake County (Fla.) Public Schools. And some campuses do have the ability to automatically lock buildings by campus dispatchers. Many others are looking to adopt more sophisticated access control systems that involve card access. That said, it’s doubtful anytime soon we’ll see most campus public safety departments being able to just flip a switch to secure every building. 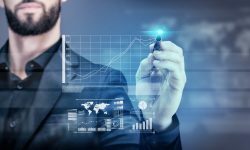 On the lower-tech end of the access control scale of sophistication, however, there have been quite a few changes. Campuses, including Virginia Tech and USC, have replaced the door hardware so a gunman like Cho can’t chain the doors shut, preventing first responders from entering a building. Other locking solutions, however, aren’t as easy a fix. Should locks be installed on classroom doors to keep intruders out? If they were installed, an individual could barricade himself with his victims, much like what occurred in Bailey, Colo., in September 2006. These and other solutions have pros and cons, and campuses are actively debating which are best for their particular applications. Whether or not campus law enforcement should carry guns on campus is also being debated nationwide. Iowa now allows its sworn campus officers to carry firearms. Fifteen Vanderbilt University police officers recently received SWAT training. Many other colleges and universities are considering arming or have already armed their officers. 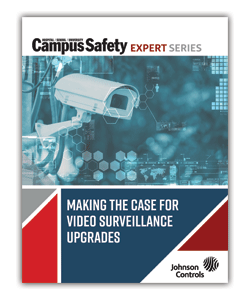 Even with these advances, U.S. campuses have a long way to go when it comes to being optimally safe and secure. Although recent Department of Justice research indicates that educational campuses are better prepared and have less crime than before, the “It won’t happen here” mentality is a continued obstacle in many institutions. Another challenge is trying to overcome the belief held by some campus constituents that it is possible to find a single, simple solution that doesn’t have any weaknesses. Such unrealistic thinking can lead to no decision being made at all. Fortunately for Drayton and many other campuses, reality is being embraced more and more. It remains to be seen, however, if the lessons learned as a result of Virginia Tech will permeate all campus cultures. To view the charts, please click here. An online questionnaire was E-mailed to Campus Safety subscribers during the last week of January 2008. Additionally, the survey was posted on Campus Safety’s Web site (www.campussafetymagazine.com) during the same time period. It is one thing for campus communities to express something intangible like respect for and attention to safety and security matters. It’s quite another for them to allocate the actual resources needed for improved protection. According to the CS Post Virginia Tech Study, only two out of five respondents (41 percent) say the amount of money available for them to spend on campus safety and security has increased since April of 2007. More than half (51 percent) say their budgets have stayed the same, while 8 percent indicate they have experienced an actual decrease. Institutions of higher education (46 percent) and hospitals (39 percent) are the most likely to have seen an increase, while K-12 campuses/districts (22 percent) are the most likely to have experienced a decrease. Of those organizations that do have more money to spend, the average increase is 12.5 percent. The median increase is 8.5 percent. Despite there being mostly modest increases in the amount of money available to spend on campus protection since last year, most survey respondents indicate that since April 2007 they have purchased or will be purchasing security and safety-related products and services in the next six months. Nearly three out of four respondents (73 percent) say they have purchased or will be purchasing mass notification solutions; 55 percent CCTV; 44 percent access control/key management; and 40 percent emergency communications/two-way radios. Additionally, although 21 percent of respondents who have made purchases indicate that more than 25 percent of their purchases were as a result of the Virginia Tech tragedy, overall, the average percentage of products purchased as a result of the shootings was only 9 percent (median 2 percent). It appears that long before Virginia Tech, most campuses had already planned on making significant safety- and security-related purchases. Another source of safety and security funding may eventually be the federal government in the form of additional grants. As of press time, the Senate version of the College Opportunity and Affordability Act calls for $50 million in funding. It should be noted, however, that even if the funding provision stays in the bill, getting Congress and the Bush Administration to follow through on their commitment to campus safety may be a challenge. “It’s one thing to get a piece of that legislation that authorizes $50 million in grants,” says Steven Healy, director of public safety at Princeton University and immediate past president of the International Association of Campus Law Enforcement Administrators (IACLEA). “There’s another to actually get an appropriation.” Additionally, President Bush did not request any funds for the Secure Our Schools program for fiscal year 2009. The good news is many campus administrators are stepping up to the plate because they are beginning to see the risk management implications if they don’t pay for appropriate safety and security measures. Still, during these times of budget cuts and economic downturn, the decisions are not easy. “The notion of campus safety just needs to move higher up on the list,” Healy adds. Robin Hattersley Gray is executive editor for Campus Safety Magazine. For additional information about this research, please contact her at robin.gray@bobit.com with “Post Virginia Tech Study” in the subject line. 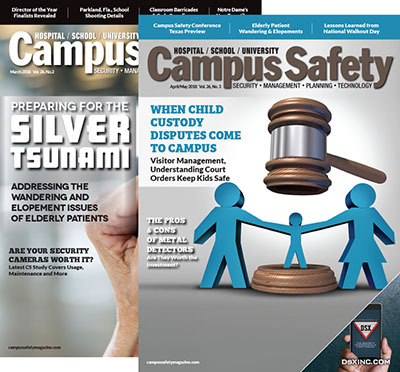 To subscribe to the unabridged print version of Campus Safety magazine, click here.